The original Prospector was a river-running boat known as the work horse of the North. This proven down river hull is our version of the classic design, and the closest thing to the original that money can buy. It's a stable hull for rivers and streams - with ample rocker it's quick to turn. 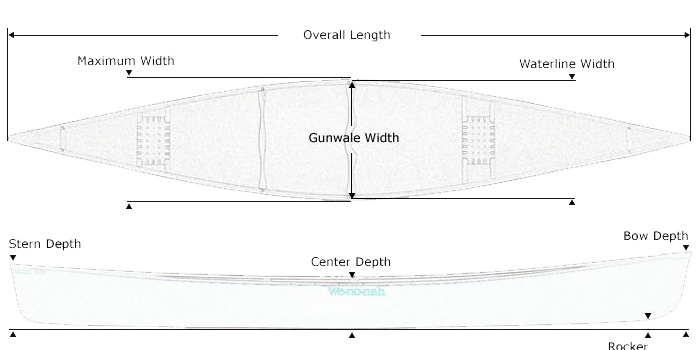 Because of the symmetrical shape of the hull, a solo paddler loaded with gear could make good progress by turning around in the bow seat and paddling it backward. Actual colors may vary due to display differences. May not be the Prospector 16. Shown with optional black aluminum trim. T-Formex canoes are manufactured from multi-laminate sheets, painstakingly designed specifically for each model. All include a closed-cell, rigid foam core providing structure and buoyancy. T-Formex canoes are incredibly tough. 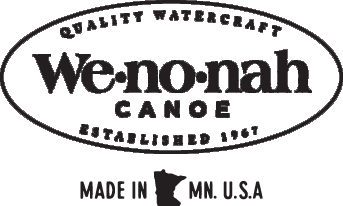 This makes them the ideal choice for sportsmen, whitewater paddlers, families and kids, or anybody who wants a very durable canoe. These canoes are much lighter than polyethylene or aluminum canoes and can be built in nearly limitless designs. We offer many models in T-Formex, ranging from cost-conscious touring and sport canoes, to robust whitewater assault canoes. T-Formex canoe shown with Standard Options, may not be the Prospector 16. Tuf-weave® Flex-core canoe shown with Standard Options, may not be the Prospector 16. Kevlar® Flex-core canoe shown with Standard Options, may not be the Prospector 16. Kevlar® Ultra-light canoe shown with Standard Options, may not be the Prospector 16.